We love to brighten up our days with colorful rainbow learning activities! 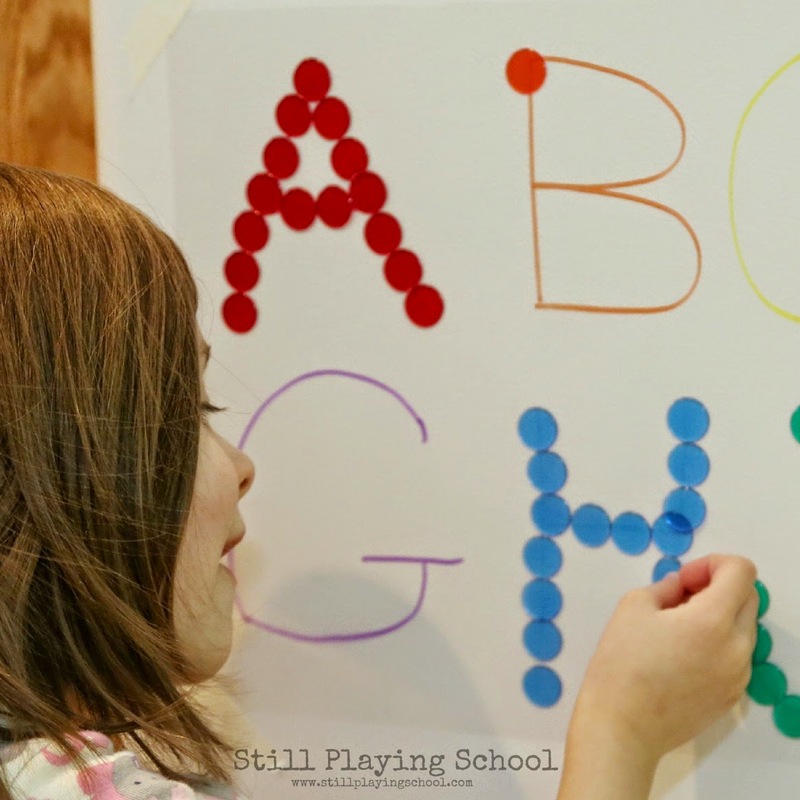 We created a sticky wall full of letters to practice letter formation for homeschool preschool. 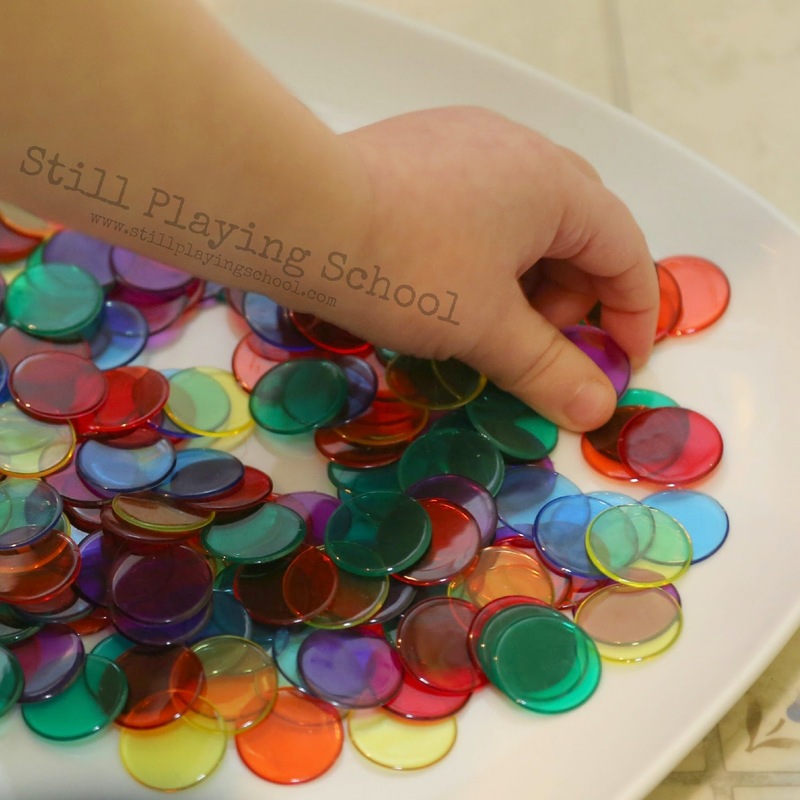 This week's Playful Preschool theme is rainbows! You can always find all post ideas on Wednesdays by searching #playfulpreschool on social media such as Instagram and Twitter! For our sticky wall literacy invitation I wrote letters on the backwards on the non-sticky side of contact paper. I taped the paper to the refrigerator then peeled off the protecting lining so it was sticky side out. 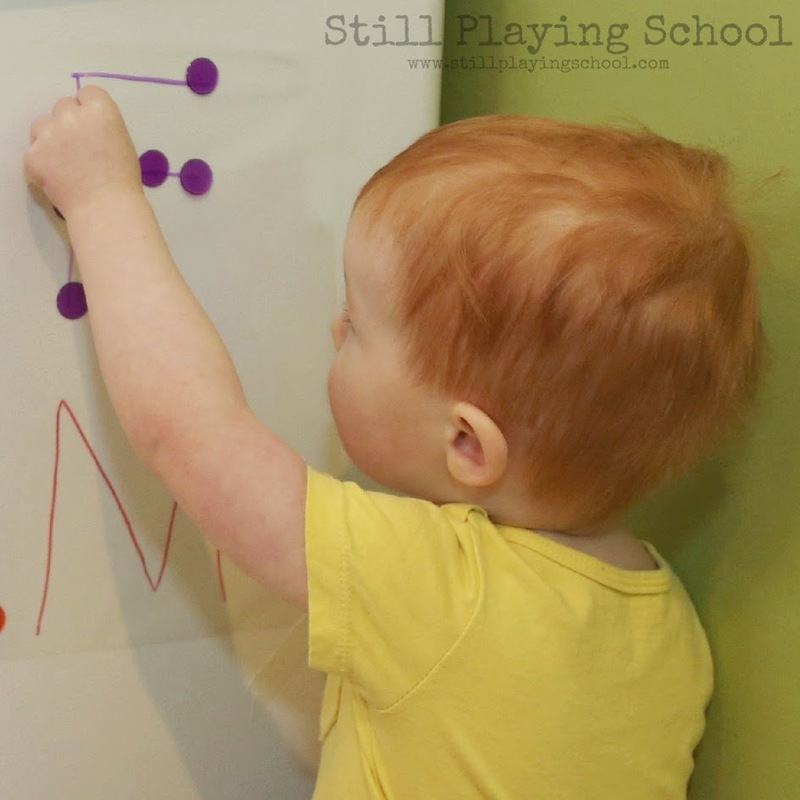 You could set this activity up in a window, on an easel, or wall. Check out our previous contact paper rainbow sun catcher! Our preschooler and toddler practiced both color matching and identification and rainbow color order by sticking our transparent rainbow chips to the contact paper. As they worked we named both letters and colors. This is an activity that can be revisited for playful learning again and again! We will have this set up for quite some time since both kids worked together and then returned independently to alter and adapt their project later, too! I love sticky walls! This is a great idea to use on one! 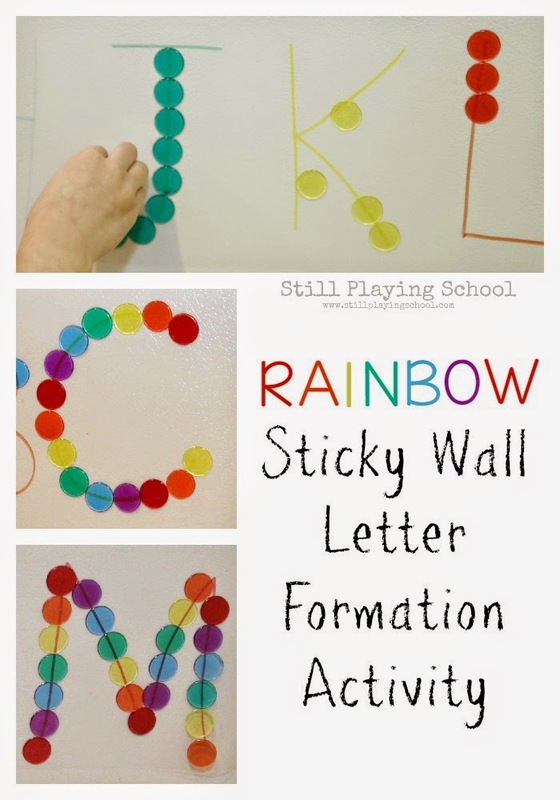 This is a fun sticky wall activity. It would be perfect for our kids. I need some rainbow chips - they look brilliant and I'm going to have to set up a sticky wall at home both of mine will love it. Those rainbow colored chips are so pretty. We have not played with a sticky wall yet. I like that they can come back to it and changed up things. We haven't tried a sticky wall before. I love to discover new uses for products we have on hand! This activity is so simple but effective. You can also adapt it for word recognition, numbers etc. Love it- now I need to get some contact paper and chips.